Oslo, the capital of Norway and home of EuroPride 2014, has a rumor that it is very expensive. Yes, it is but there are also lots of things you can do for free, or almost free. You will have to allow some money for a trip to Oslo, but you definitely do not need a second or third mortgage. 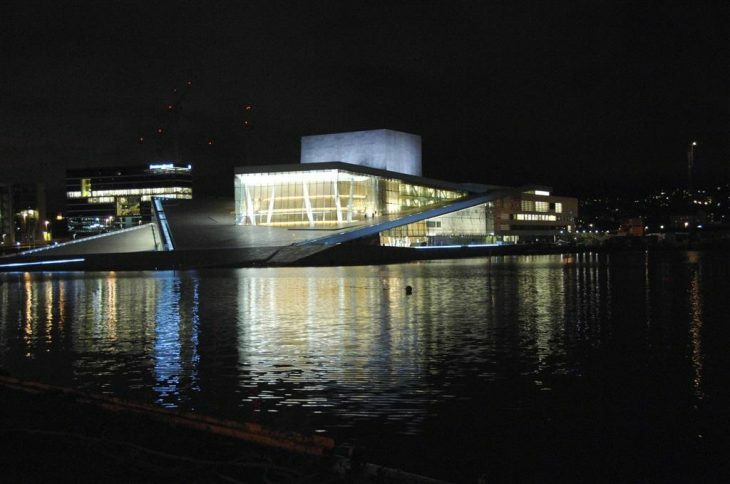 Take a walk on and around The Opera House, designed by Norwegian firm Snøhetta and was opened in April 2008. The building has received several international acclaims and cost more than 4 billion NOK to finish. The architecture is spectacular! Great place for a packed lunch on a sunny day. Not far from the Central Station and on the way to Ekeberg Restaurant (which is not free, but a great place). Go bargain hunting at the flea market at Vestkanttorvet, Majorstuen, on Saturdays. If you are going on a Sunday, you should head to Birkelundens Loppmarknad in Grünerløkka instead. Great place and fairly new things are sold, probably due to the high standard of living in general. Go cross-country skiing in Oslomarka which is the big forest surrounding the city. Please do not worry about taking your ski equipment on trams and buses, because it is perfectly normal and everyone does it in Oslo. Watch the view from Radisson Blu Plaza Hotel which is one of the highest buildings in Oslo with a great view of the city. To be honest, I don’t know if they charge to use the elevators up to the observation deck or not today. If they do, it is not much and well worth money. This is easily combined with the Opera House since the hotel is just by the railway station. Visit Vigelandsparken, also known as Frognerparken, with its 200+ sculptures in a park setting. Parks are always nice during summer, but be bold and make it here even in winter. As a bonus tip I can tell you that many museums offer free admission on Sundays. This offer varies so please check before you go. I do hope you will enjoy your stay in Oslo. Please share your own tips in the comments below, on our Facebook or on Twitter. You Are Not Alone! A Day of Air Traffic Visualized.